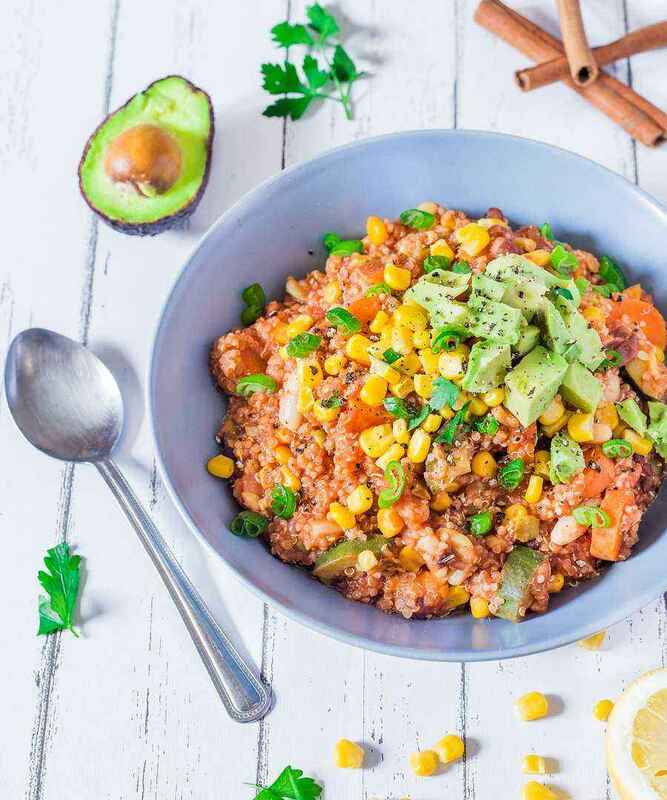 This One-Pot Vegan Quinoa Chili is perfect for lunch or dinner; you just have to throw all of the ingredients in a pot and wait for the magic to happen. 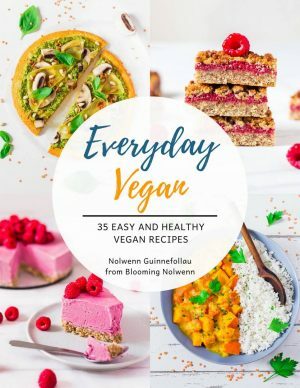 Vegan, Gluten-Free, Oil-Free! The weather has not been very nice the last couple of days so I have been craving something warm, hearty and comforting instead of my usual summer smoothie. 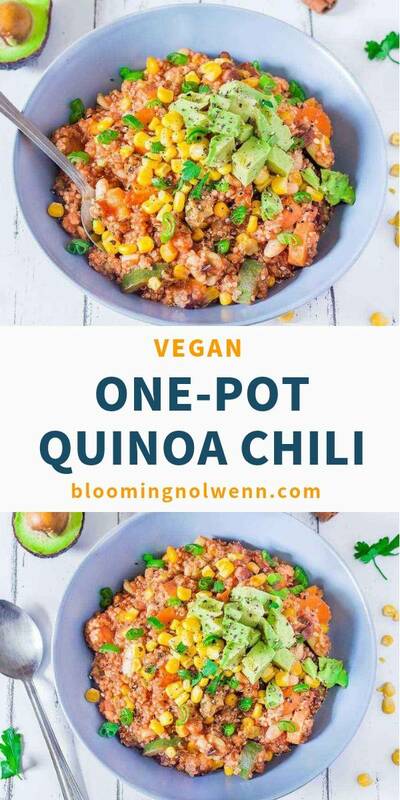 Well, this one-pot vegan quinoa chili is all I could have asked for. 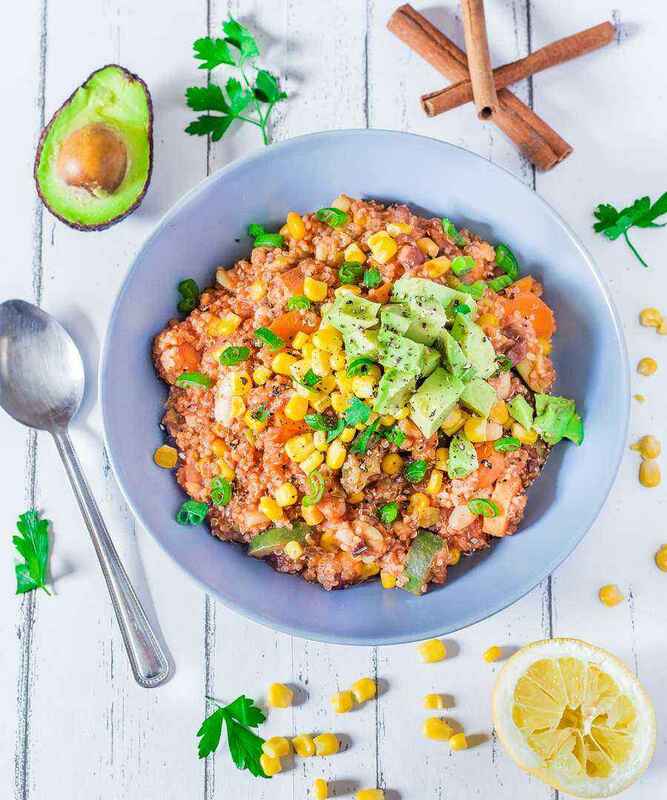 It is SO tasty and colorful, and guess what – you just have to throw all of the ingredients in a pot and let the magic happen! I hope you are hungry because you are going to have a delicious and filling chili in front of you in 30 minutes. this vegan chili offers a variety of textures and spices and is a real treat for you taste buds. Not to mention that it is also very pleasing to the eyes because of all the colors. If you are like me and you love cinnamon, I highly suggest that you add a cinnamon stick to the pot. It is going to give the chili an amazing flavor. However, if you don’t like cinnamon, feel free to ignore this step. The chili will be just as delicious and flavorful. I LOVE comfort food and I bet you do too. In my opinion this chili is the perfect healthy comfort food because it is packed with superfoods which are going to make you feel vibrant. Quinoa contains a lot of antioxidants, protein, fiber, important minerals like iron, magnesium and potassium, and is naturally gluten-free. Sweet potatoes are a great source of vitamin C, vitamin B6, iron, magnesium and potassium. Beans are packed with protein, fiber, iron and potassium. 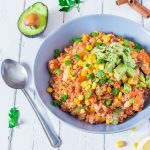 With the addition of vegetables, avocado and fresh herbs, this chili is a very healthy, nutritious and complete meal. 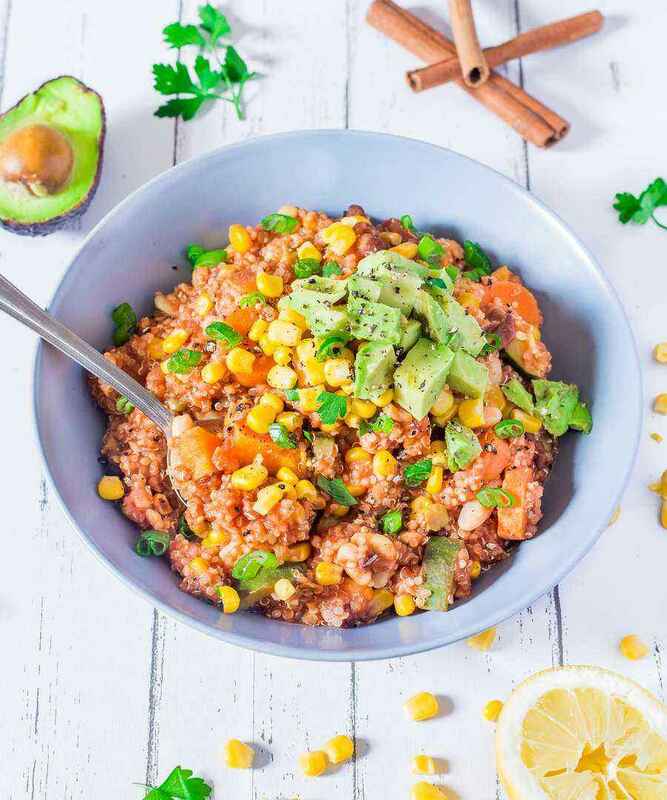 This one-pot vegan quinoa chili is the perfect meal when you need something hearty, warm, tasty, comforting and easy to make. It is a wonderful mix of textures and spices and will be ready in 30 minutes. In a large non-stick pan over high heat, cook the onion and garlic with a splash of water until translucent (roughly 5 minutes). Add more water if it starts to stick to the pan. Then add the cayenne, salt and pepper and cook for 3 more minutes. Add in the rest of the ingredients: quinoa, black beans, white beans, split peas, sweet corn, zucchini, carrots, sweet potato, tomato sauce, water/vegetable broth and cinnamon stick. Stir well to combine. Bring to a boil, then cover with a lid, reduce heat to medium and simmer for 15-20 minutes or until quinoa is cooked and vegetables are fork-tender. Once cooked, take the cinnamon stick out. Serve the chili warm and top with diced avocado, parsley, green onion and a squeeze of lemon. If you like nutritional yeast, you can sprinkle some on top of the chili as well. I’ve never considered adding Quinoa to chili! I know what I am making for dinner. 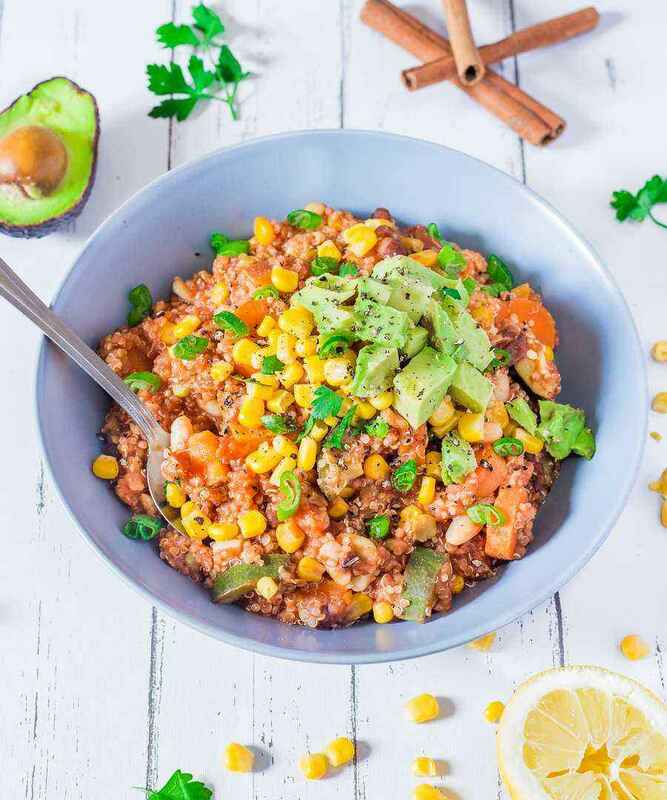 Hi Sydney, thank you for your comment 😀 I love adding quinoa, it makes the chili very filling. I hope you will like my recipe, let me know what you think! Yum! I am all about one pot meals and my family loves chili. I’ve not made chili with split peas–sounds like a yummy twist. 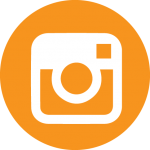 I hope you will try my recipe, have a nice day! Sounds great! I usually add nutritional yeast to my chili. It gives a tangy flavor. This is a great idea, I am going to add nutritional yeast in the recipe notes.